BLOG: Connecting The Dots ‹ Following The Way . . .Together! In order to maintain the status of a “cool teacher”, college professors must keep up with the latest trends in educational technology. You can benefit from the most popular EdTech tools, even if you are an old-school professor who prefers the classic methods of teaching. Exploring new student engagement strategies and finding new ways to implement modern educational technology into your profession will result in higher student engagement and a more effective connection between you and your students! In the list below, you will find 15 great tools that are worth infusing into your teaching methods. NinjaEssays has become a secret tool for a great number of professors. Professors usually rely on editing assistance provided by NinjaEssays when they need to make their presentations and coursework materials perfect. However, the writers at this website can also help you create the actual academic materials. You cannot neglect your responsibilities even when you are too busy, so delegating part of the work to the experts at this website can be a really smart solution. Are you still taking notes in a tiny notebook you carry everywhere with you? Not cool! It is time to start using the potential of your iPad, for real. This app will let you record memos at any time. The quality of the sound is great, and you’ll get used to the simple interface in no time. The ability to access the recordings from a different computer adds to the convenience of this app. Top Hat is a student engagement platform that specializes in increasing student performance through lecture engagement. Top Hat engages students through the devices they already own, such as their phones and laptops. Through Top Hat, professors can create interactive digital activities like polls, quizzes, and open-ended Q&A exercises – not to mention, your students will find your unique way of interacting with them as very forward-thinking. The best way to make your course more appealing to your students is to start attracting them with visual content. Similar to the famous Pinterest, this platform enables you to create cool boards where you can clip any content. Collect interesting materials associated with the classes you are teaching and invite your students to follow your clipboard. This app is connected with the iPad’s camera and transforms the image you take into a clear, high-quality black and white image. This is a great way of sending signed documents or transforming physical documents into PDF files. You will definitely appreciate Scanner Pro when you stumble upon a great newspaper article or another document that’s worth saving. You can even clip it to your Clipix board and share it with your students. Unlike most bookmarking tools, Listango is really effective and easy to use. You can open a free account within minutes and start saving your bookmarks which you can later access from anywhere. If you find online content that you’ll need for further use and reference, this tool will help you bookmark it without much fuss. Of course, you cannot leave your tablet without a versatile and robust PDF reader that will enable you to access important documents whenever you need to. Besides viewing PDF files with GoodReader, you can also use this app to mark them and make notes within the documents. The highlight and freehand draw features will make you feel like you are working with actual paper. This is a clean, light, and free app that will make the process of taking notes a breeze. You can use it on Mac, iOS, Android, and Kindle; your notes will be automatically updated across all devices. By assigning simple tags to your notes, you will be able to easily locate them whenever necessary. With the use of Zaption, you can create an interactive environment through video lessons. You can combine relevant YouTube clips with response elements in the form of discussions, multiple choice questions, and polls. Besides using these videos in class, you can also share them on your blog or website and invite your students to view them in their free time. Flipboard puts blogs, webpages, and even social media into the format of a digital magazine that features the content you are interested in. You can follow people and topics you care about and get a constant flow of fresh information in the feed. Unfortunately, you cannot force your students to love reading. However, you can take action and implement Booktrack into your teaching methods. When your students start reading the content accompanied by an amazing movie-style soundtrack, it will immediately become more dramatic and fun to read. Besides using Dropbox to keep important files safe and accessible from all computers, tablets, and smartphones, you can also use the app to share content with your students and accept their papers and projects. The simplicity and efficiency of Dropbox will literally remove all doubts you had about implementing the use of technology into your profession. Online courses are not just for students; they can also help teachers become better at what they do. By taking examples from the best courses in your area of study, you will get an idea of how to make the course materials more captivating for your students. If you share a video with your students, you will appreciate knowing how they react to it. In order to use this tool, you will need to paste a link to YouTube or upload a new video, then you can customize buttons that enable the viewers to provide their feedback. By gaining such insight, you will be able to improve your materials and make them more fitting to your students’ preferences. SlidebeanYou already know how important presentations are, so you need to shift away from PowerPoint once in a while and make the slides more interesting. Slidebean is a simple online tool that allows you to create beautiful presentations by adding text clouds, quotes, video and timeline slides, collage and image slides, and much more. Now that you have a starting point with the coolest apps that will turn you into a more effective professor, there is nothing holding you back from developing a better bond with your students. All of the apps listed above are easy to use, so you can start exploring them without delay! ———————————————————————————————————Robert Morris is an online tutor from New York. Passionate about EdTech, education, and literature. His articles appeared on Lifehack, Edudemic, and Bigthink. Circle Robert on Google+! 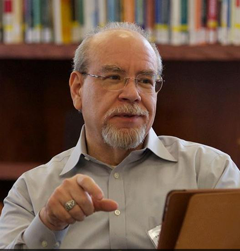 by Israel Galindo is Associate Dean for Lifelong Learning at Columbia Theological Seminary from The Wabash Center for Teaching and Learning Blog . He also writes for the Wabash Center’s Blog for Theological School Deans. Learning requires retention over time (the function of memory and retention). That’s clear enough, but bringing about meaningful learning requires an intentional act on the part of the teacher. Understanding and applying the pedagogy that helps realize meaningful learning makes us more effective teachers. Below are the five stages I use for meaningful learning, with corresponding pedagogical practices beyond lecturing to help make it happen. Sometimes I use the five stages as the structure for each lesson in a course of study, and, sometimes the stages form the framework for the arch of a course. Either way, I work to ensure that the design of the learning experience follows the structure. 1. Learn about it. I’ve discovered the power of helping students find a motivation for learning. But, it is an unrealized or perceived need that is a motivator, not an “interest” or the merely novel. So, awaken in the learner’s the insight, “This is why I need to learn this.” When guiding students to “learn about” something, teach from the known to the unknown (build on prior knowledge) using pathways to learning (things that help bridge the known to the unknown: metaphors, experiences, etc.). Remember that meaningful learning is knowledge that addresses a need, solves a problem, or satisfies. So, I try to avoid the temptation of “coverage.” A course about everything and anything is a course about nothing in general. When “learning about” something, attainment of concepts and principles have more value than learning facts or receiving information. Most helpful pedagogy: Lecture, explication, problem-posing. 2. Understand it. Regardless of how important I think it is, merely receiving information is not sufficient to bring about meaningful learning. At appropriate intervals, I test for comprehension and check for misunderstanding. Understanding is nuanced, it has degrees and facets, therefore, it’s helpful to attend to degrees of learning: “To what extent do you want your learner to know something?” Here, the taxonomy by Wiggins and McTigh’s facets of understanding is very helpful in being clear about what I’m teaching toward: Explanation, Application, Empathy, Self-understanding. Most helpful pedagogy: dialog, question and answer, self-assessment, test for misunderstanding. Teacher action: share information, provide sources of information or knowledge, test for comprehension, test for misunderstanding using appropriate assessment taxonomy. 3. Manipulate it. For knowledge to become meaningful, learners must be able to manipulate it. Manipulating information helps internalize knowledge by creating pathways for connecting with what is known, and, processing knowledge through multiple intelligences. Manipulating information, concepts, principles, or objects helps the learner acquire understanding and a “sense” of the nature of things. The manipulation of knowledge also satisfies the need for the “experience” of knowledge. I find this often to be the most creative part of designing the learning experience. Most helpful pedagogy: Interpret it, enhance it, diagram it, depict it, change it, deconstruct it, combine it, illustrate it, interpret it, model it. Teacher action: provide appropriate experiential learning activity. 4. Retain it. Meaningful learning is bringing about change to long-term memory–if the students can’t retain it, they haven’t learned it. Meaningful learning must be rehearsed in order for it to be retained and to achieve mastery. One common liability in classroom learning is a failure to rehearse learning after the test. I’ve found that I have to reduce the scope of what I teach (avoid wide coverage), and design multiple ways for students to revisit, manipulate, and apply the concepts at intervals during the course. Most effective pedagogy: rehearsal, memorization and recall, association, application. Teacher action: Provide for rehearsal. Use transition induction and summary-review induction. Test for retention and accuracy of retention. Plan intervals for revisiting and rehearsing core concepts. 5. Use it. Knowledge becomes meaningful when a learner can use (apply) it. The challenge for classroom learning is that knowledge must be applied in the context it must be used (avoid “pretend learning.”). Failure to follow this principle results in the tendency to “teach for the test” as evidence of application. As much as possible, I find ways for students to apply what they are learning in the “real world,” outside the classroom. Most helpful classroom pedagogy: simulation, experimentation, application in context, projects. Teacher action: provide an application step. Provide feedback on application. These stages for meaningful learning require application of a process of learning that calls for less lecture and more process. When Belle Halpern and Kathy Lubar founded The Ariel Group twenty-one years ago, they had a vision of business leaders using the expressive skills of an actor to authentically connect with their colleagues, reports and managers. In 1993, you could build relationship by doing a walk-through of your department, poking your head into someone’s office and taking the opportunity to connect on a human level. In 2014, if you want to reach out to a team member or report, you may be picking up the phone or launching Skype or FaceTime. There is a lot of research out there about the benefits and pitfalls of telecommuting. Virtual workers can be more productive, less distracted and not nearly as stressed out as if they were commuting. But they can’t pop their heads over someone’s cube or spark a hallway conversation; they have to make a real effort to reach out if they have a question or want to bounce an idea off a colleague. The onus is on your virtual teammate to reach out to you, to insert herself into the conference call, to speak up when the phone is too far from the speaker or to respond quickly to emails so as not to be kept out of the loop. But what about you? What if you work in the office and he or she is virtual? What can you do to reach out and connect with your virtual team member, direct report or manager? Use video whenever possible. Being on camera helps your virtual teammate to be more present and involved and it reminds you that they are present, even if they are not talking. Extend the celebration. We have a client whose team is all in person but for one, and anytime they celebrate a birthday, they make sure their virtual member has a cupcake, too. Set expectations for participation. If you’re kicking off a meeting or a presentation, make sure to clearly articulate how you would like the group to participate – let them know if you’re going to pause for questions or if they should wait until the end, or if it’s an open discussion. The virtual participants are less likely to get lost than if it’s a free-for-all. Be responsive. I have a colleague who answers most emails right away, even if it’s just with a “Thank you.” It builds trust between us and certainly makes me feel more connected to her. Make time to check in. We at The Ariel Group have a ritual at the top of every meeting. We make sure to hear a few words from everyone before we dig into business – it helps us all to get present. Reaching out virtually does take a little extra effort and thought…but when our colleagues feel included and engaged, they are more likely to put in discretionary effort. So take a few extra minutes at the top of the meeting to hear everyone’s voice. Use Skype instead of the phone. And have those cupcakes sent to your teammate’s home office. The Center for the Ministry of Teaching (CMT) at Virginia Theological Seminary (VTS) is sponsoring e-Formation: A conference on faith formation for a connected, digital world June 2–4 in Alexandria. The annual event began in 2012 to fill a leadership and training need in the faith formation/Christian education community. Last summer, almost 200 Christian educators and communicators, lay and ordained and from several denominations, converged on VTS to learn from experts and peers about using technology for forming faith in congregations and other ministry settings. Many of these participants will return to an expanded 2014 program at the Washington, DC-area seminary in what is expected to be an even larger gathering. In 2013, the event expanded to a full-fledged professional and missional development conference. The 2014 conference features a yet larger slate of well-known speakers and exemplary practitioners, as well as a creative menu of participatory workshop formats and topics. These include intensive courses on Google tools and video production; introductory sessions on blogging, online learning, and digital curriculum resources; break-out groups organized by ministry setting and age group; and two public evening presentations about the big picture of using technology in faith learning. On June 2, founder and director of G-dcast Sarah Lefton will describe her journey from religious illiterate to prizewinning Jewish educator—a story involving cartoons and a cobbled-together team of teacher friends from the arts world. She will be followed on June 3 by Bruce Reyes-Chow, a speaker, blogger, and Presbyterian teaching elder who will discuss race, technology, and the church. Reyes-Chow’s most recent book, But I Don’t See You As Asian, was supported through the online crowd-funding site Kickstarter. Other speakers and workshop leaders include Roberto, Kimball, church social media expert Meredith Gould, editor and curriculum specialist Sharon Ely Pearson, blogger and Lent Madness founder Tim Schenck, church Google gurus Robbin Whittington andRandall Curtis, online learning consultant Julie Lytle, and digital missioners Edgar Giraldo Orozco, Colin Chapman, and Kyle Matthew Oliver. The full working list of workshops and facilitators can be found here. Ultimately, e-Formation participants are more important than the speakers, according to conference organizers. The conference rate of $348 includes meals, the evening sessions, and Monday, Tuesday, and Wednesday’s conference program. Student rates and limited on-campus housing are available. Registration is now open and is expected to fill quickly. More information is available at www.eformationvts.org. The hashtag for the event is #eform14. Since the 1990s, I’ve mothballed the lecture — “where the teacher talks and hopefully the students listen” — with other scorned practices: popcorn reading, multiple-choice quizzes, test-prep drills, lower-level “recitation” questions, crossword puzzles and the like. But the fact is that few practices are completely bad or good given the infinite variety of students, curriculum choices and instructional strengths. Besides, making teachers wrong for professional choices blunts their power. I’ll come back to that idea. After dipping into the controversy over lectures, the paragraphs below will explore why this instructional method deserves some love, followed by tips on how to enhance its impact. Graham Gibb’s seminal 1981 paper, Twenty Terrible Reasons for Lecturing, argues against the notion that we can efficiently “beam” knowledge into learners’ heads. Students prefer fewer lectures, perhaps because of short attention spans. Most professional teaching associations support more interactive instructional methods. Some studies report that lectures lead to higher student achievement, although this might be due to some instructors’ lack of skill in facilitating student-centered interactions. As opposed to whole class discussions, which can leave students bewildered, a thoughtful oral presentation can guide students into productive modes of thinking. Because all teachers at some point find it necessary to lecture, we have a responsibility to maximize our capabilities as oral presenters. Here are some tips for doing just that. Students might not share your passion for Shelly, or Pythagoras, or the Magna Carta. Shocker! One solution is to inject some novelty into your lecture. How? Ask students to tweet a question they have about the topic, and make it your mission to answer the questions in your presentation. Find a thematically related work on PoemHunter and read it to provide context. Connect the topic with contemporary music or personalities relevant to kids. Tell a story about the content. Decades ago, one of my high school teachers started class by describing a boy named Mike who never opened his history textbook. After graduating, Mike joined the army and was killed in the Tet Offensive. That story introduced an unforgettable lecture on the Vietnam War. Don’t be a purist. Use different styles, formats and media when you lecture, likePecha Kucha, the 60-Second Lecture, or the Punctuated Lecture. Joan Middendor and Alan Kalish collected dozens of “change up” lecture strategies that I refer to several times a semester. And the Derek Bok Center for Teaching and Learning at Harvard links to dozens of lecture innovations, including Twenty Ways to Make Lectures More Participatory. For advice on creating engaging lecture handouts, read Anna Johnson’s Good Handout Design: How to Make Sure Your Students are Actually Learning from your Lecture Notes and Oliver Adria’s How to Write a Presentation Handout: 5 Effective Ideas. Also avoid bad PowerPoint. Lecture less frequently and keep your presentations short. For most students, a talk that extends beyond 15 minutes is a misery safari. It is obvious to almost everyone that how we have been doing faith formation – typically one hour on Sunday morning either before or after services – is no longer working. In my book, Faith Formation 4.0, I explain WHY this is happening and suggest some ways to utilize social media and digital tools. Virginia Theological Seminary is taking things a step further. 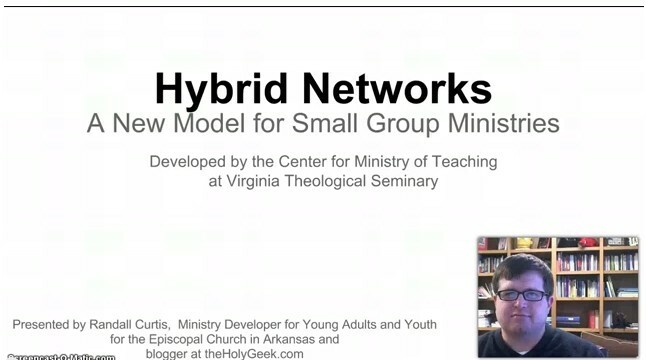 They have been helping groups develop HYBRID (gathered on-the-ground and online) NETWORKS. Kyle Oliver, Digital Missioner for the VTS Center for the Ministry of Teaching, writes about it in this month’s edition of KEY RESOURCES. Randall Curtis, Arkansas Ministry Developer for Young Adults and Youth has produced a youtube video to explain it. I encourage you to read… or watch… and then start connecting! As you likely notice, its been a while since I have posted. The summer offered time for building additional pages on the site. 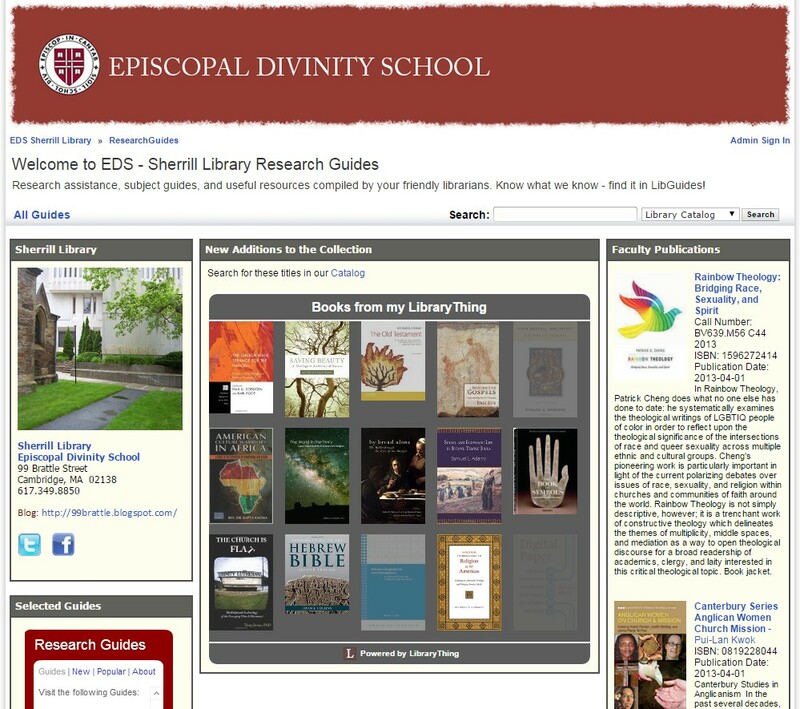 In particular, I encourage you to look at the RESOURCES section. It is designed to complement information in the book, Faith Formation 4-0. Please let me know if there are additional elements you want to see. 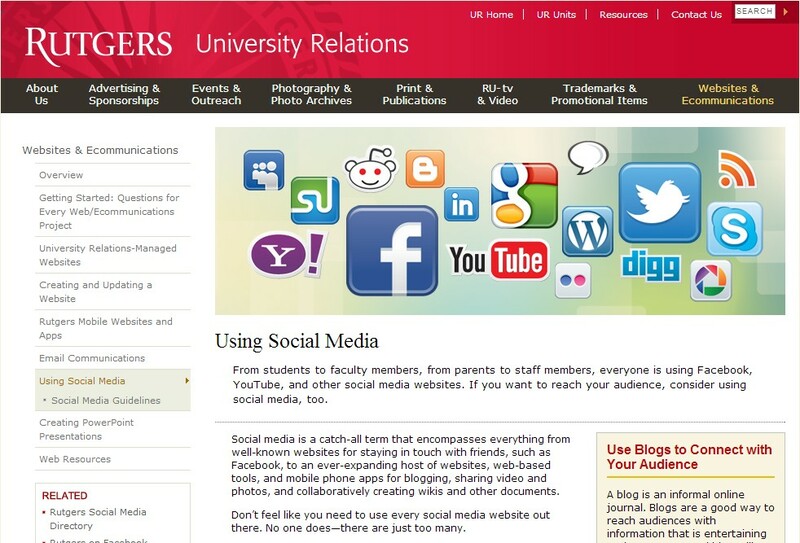 Rutgers University has created a GREAT Social Media Primer that introduces the basic concepts and most popular platforms. It is part of a much more extensive site on websites and ecommunications that Rutgers IT staff developed to help their faculty and staff – as well as others looking for navigational aids for the Digital Age. This is a useful site to use in combination with the “Message, Method, then Media” process described in Faith Formation 4.0. (Shout out to Ann Fortaine for sharing the link on Facebook). In Faith Formation 4.0, I argue that our environment forms and fashions us – explicitly and implicitly. Many often forget that COLOR is a language that communicates emotion and inspires action. 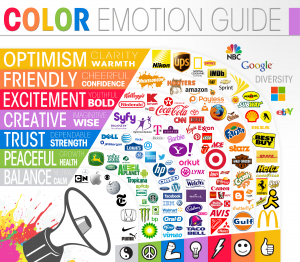 The Logo Company created the Color Emotion Guide and described the psychology of color in a January 13, 2013 blog post. Leo Widrich, co-founder of Buffer (a social media post automator), uses it to explore how several social media companies have used it to subliminally reinforce their brands in his April 25, 2013 blog “Why Facebook is Blue: The Science of Colors in Marketing.” These posts highlight a long tradition of intentionally using different hues and values to illicit our response. Green: Green is the color of vegetation, therefore it is the color of life. Green is the color for the Season of Epiphany and the Season After Pentecost. These two seasons are also called ‘Ordinary Time’ because the Sundays have no names, just ordinal numbers. Purple: In antiquity, purple dye was very expensive, so purple came to signify wealth, power, and royalty. Therefore purple is the color for the seasons ofAdvent and Lent, which celebrate the coming of the King (although Blue is often used for Advent in many churches). Since as Christians we prepare for our King through reflection and repentance, purple has also become a penitential color. White – The New Testament consistently uses white to describe angels and the risen Lord. In the ancient Church, people were given white robes as soon as they emerged from the waters of baptism. Therefore, white is the color for the seasons of Easter and Christmas. White is the color for funerals, since it is the color of the Resurrection, for weddings, regardless of the season, and sometimes for secular holidays that are observed in the church. Red – Red is the color of blood, and therefore also of martyrdom. Red is the color for any service that commemorates the death of a martyr. It is also an alternative color for the last week of Lent, which is called Holy Week. Red is the color for Pentecost Sunday and for ordinations and installations, because it is the color of fire and therefore also of the Holy Spirit (see Acts 2:3). Gold – or ivory are alternatives to white. Blue – Blue is an alternative to purple during Advent. Blue represents the Virgin Mary, because she is known as the Queen of Heaven and the sky is blue. Some Protestant churches just use blue during Advent to avoid the penitential connotation of purple. Black – Black is the color of standard clerical dress, such as clergy clothing, cassocks, etc. Before the advent of modern dyes, all dress clothes were black—just look at any photograph taken in the 19th century. The main historical connotation of black is formality. Because black is not worn as often today, it has survived as a formal color only at extremely solemn occasions, such as funerals. For some people today, black immediately connotes a funeral. Black is sometimes, but rarely, the color for funeral services, Good Friday, and All Souls Day (2 November). Rose – Rose (that is, a shade of pink) is sometimes used on the third Sunday in Advent and the fourth Sunday in Lent. The use of the color rose has a strange origin. Long ago a custom was developed where some of the faithful were given roses on the fourth Sunday in Lent. Some clergy then began to wear rose-colored vestments on that Sunday. The effect was to give some relief to the solemnity of Lent, so this was a very popular custom. Originally, Advent was a solemn fast in preparation for Christmas, so the custom was extended to the third Sunday in Advent to liven it up a little bit, too. [Somewhere along the way the third candle of the Advent wreath turned pink as well]. Rose is an alternative color for the fourth Sunday in Lent (Laetare Sunday) and the third Sunday of Advent (Gaudete Sunday). The Color Emotion Guide demonstrates how the church’s color selections can also correspond to emotive messages. Ordinary Time’s green conveys natural, organic, youthfulness, nurturing, education, adventure and calm. The qualities of Advent and Lenten Purple include spiritual, mysterious, magical, arcane, religiousness, evocative, sensual, well being, and loving. Pentecost red can inspire excitement, urgency, and danger.